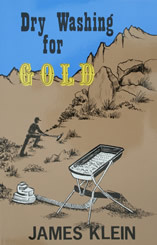 A good dry washer is an important tool for the hopeful gold prospector. James Klein shares his years of experience with dry washing. This book is a 5.5" x 8.5" paperback with 89 pages.